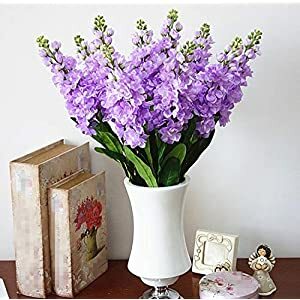 Silk hyacinth flowers (technically called a Hyacinthus) was originally name from a Greek hero – the legend came from that his blood became the hyacinth plant. In the wild the plant is from the eastern Med. 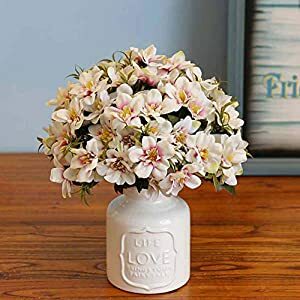 It is a lively and cheerful plant and would look superb in office or home decor. 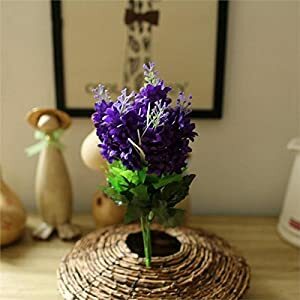 At the moment we do not have a huge range of artificial hyacinth flowers those we have would look gorgeous (more to come soon). In the language of flowers hyacinth means life and hope. (Also check out our range of silk orchid flowers here). 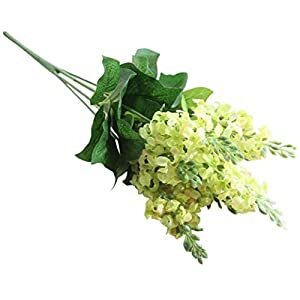 These flowers are full of grace, exquisite and very realistic. Year after year these flowers will look just as realistic, easy to care for (no watering, no problem with allergies, no trimming or drooping). Pricing is is super competitive, deliver fast and we only offer products that have been very well reviewed by people just like you i.e. high quality.